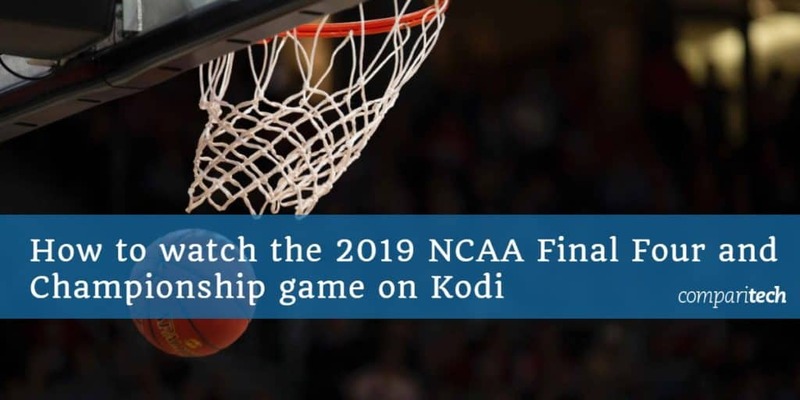 Whether you're rooting for UVA, Texas Tech, Auburn, or Michigan State, you can watch all of the 2019 NCAA Final Four and Championship games live online through Kodi. Below you'll find several great options to get Final Four broadcasts free and in HD. Even if your bracket is toast, this NCAA basketball season has served up some nail-biting moments. With March Madness over, it’s time to head right into the Final Four. Both games (Auburn vs. UVA, Texas Tech vs. Michigan State) will broadcast on Saturday, April 6, starting at 6 PM EST. Meanwhile, the Championship game will broadcast on April 8 at 9 PM EST. You can watch using traditional cable or an over-the-air antenna if you have one, or you can watch free online through Kodi. Below, we’ll explore your top options to watch NCAA Final Four free on Kodi from anywhere in the world. Important note: Our guide only recommends official sources for the NCAA Final Four. The Final Four is among the most-watched NCAA events of the year. Many websites will attempt to host unofficial streams, but there’s good news: Kodi users have no reason to use them! There will be plenty of official streams offering HD quality that come without the risks associated with unofficial streaming sites. If you’re outside of the US, a VPN will get you easy access to free Final Four streams, while a VPN will also ensure your ISP won’t throttle your high-quality streams. If you are outside the US and want to watch both NCAA Final Four games as well as the Championship for free, you may need to connect to a VPN server in the US. RELATED: If you are not a Kodi user, we have a guide to watching the NCAA Final Four online outside the US here. The NCAA Final Four will be free in the US via CBS, and you can get past regional content blocks in the US to watch from anywhere in the world. First, create an account with a VPN of your choice. Check to make sure the VPN you want has an app that will work on your desired streaming device. We recommend IPVanish for Kodi users, although ExpressVPN, NordVPN, and CyberGhost are comparatively good options as well. Next, install the VPN app you plan to use on your desired streaming device. Our preferred VPNs work on most devices, including Amazon Fire TV and Firestick. Next, connect to a VPN server in the country of your choice. In this case, a US server will be your preferred location to get access to CBS streams. Open the video in Kodi using your preferred addon and start streaming! We also recommend you test out your streaming options before the Final Four games begin. This will give you time to ensure the VPN you chose offers an effective bypass, and that the Kodi addon you plan to use works as well. The NCAA Final Four games will be broadcast back-to-back on CBS, with the Championship game following closely 2 days after. CBS is free-to-air if you’re using the right sources. A VPN may be necessary to gain access to the free streams available through Kodi. Kodi is a great option to watch the 2019 Final Four games since there are a few, easy-to-use and free addons that offer CBS broadcasts. Your best option is going to be USTVnow, which lets anyone stream for free. A few other alternative options you may want to consider might offer higher-quality streams. USTVnow allows you to sign up for free and stream 5 over-the-air channels: CBS, ABC, MyTV, The CW, and PBS. As CBS will have both Final Four games this year, that means USTVnow is an obvious choice for Kodi users. Importantly, you’ll need to sign up to USTVnow using a separate email address. If you use the one-click sign-up using your Facebook or Google account, you won’t be able to log in to the USTVnow Kodi addon. Once you’ve created your free account, install the Kodi addon from the Official Kodi Addon Repository, then enter your username and password into the addon through the settings menu. To find USTVnow in Kodi, open your Kodi app, and then go to Addons > Download > Video Addons > USTVnow. 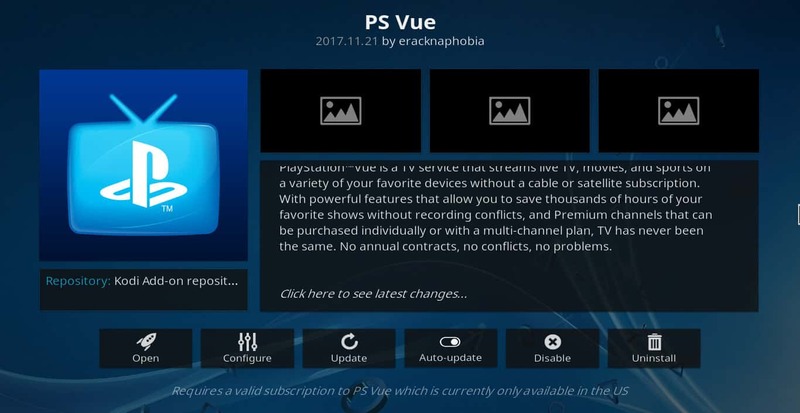 The PlayStation Vue Kodi addon is a great option for anyone living in the US, or outside of the US if you happen to also have a VPN and a US-based credit card. PlayStation Vue offers a 5-day free trial and access to CBS live streams in extremely high quality. You’ll find the PlayStation Vue available through the Official Kodi Addon Repository. Once you’ve signed up, just enter your username and password in the addon settings menu.